Train alongside our Trainers with our free at-home Workout Channel. Each exercise has been carefully selected for its' ability to effectively target + tighten your entire lower body over the next 30 days. Join us FREE! 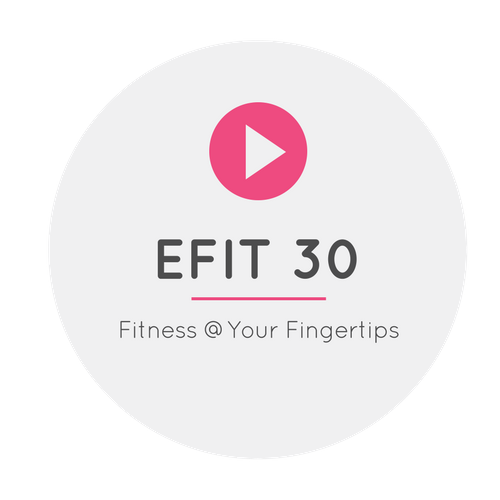 At eFIT 30, we help you achieve your goals with our specialised app based training + nutrition plans - 100% fad-free. We're passionate about bringing down the barriers to participation & making quality fitness programs as mobile as our clients! Our amazing new app experience is here! 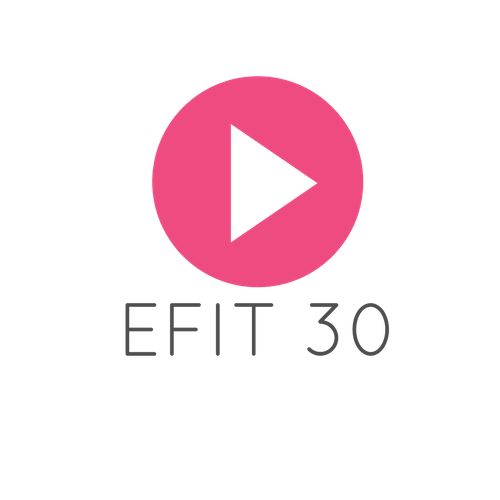 Available online, or access your workouts through your phone or tablet. We are here for you. Need assistance or guidance? Get in touch with the app. Meal planning, recipes and calorie tracking - in one place. Whatever your goals, your fitness or experience, we have a workout program to suit you. 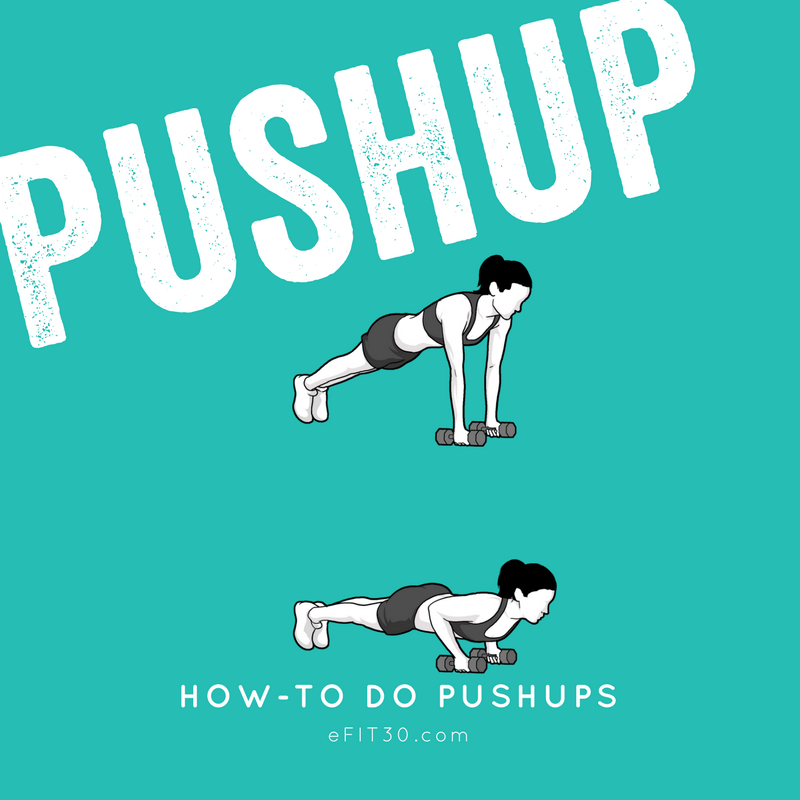 Is your goal to do a proper push up (or press up) on your toes? Here's how to do them with proper form - start here and you'll get stronger and stronger with each practice. We're focusing on a squat variation today - the plie squat. 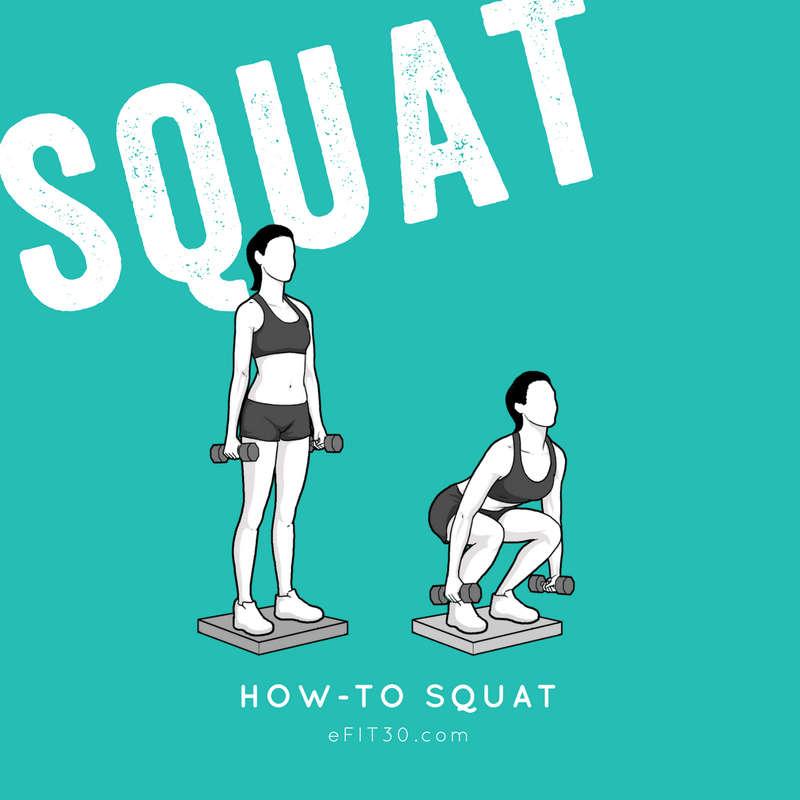 If you're looking to target your inner thighs to create a defined, sculpted look, this squat is your go to! 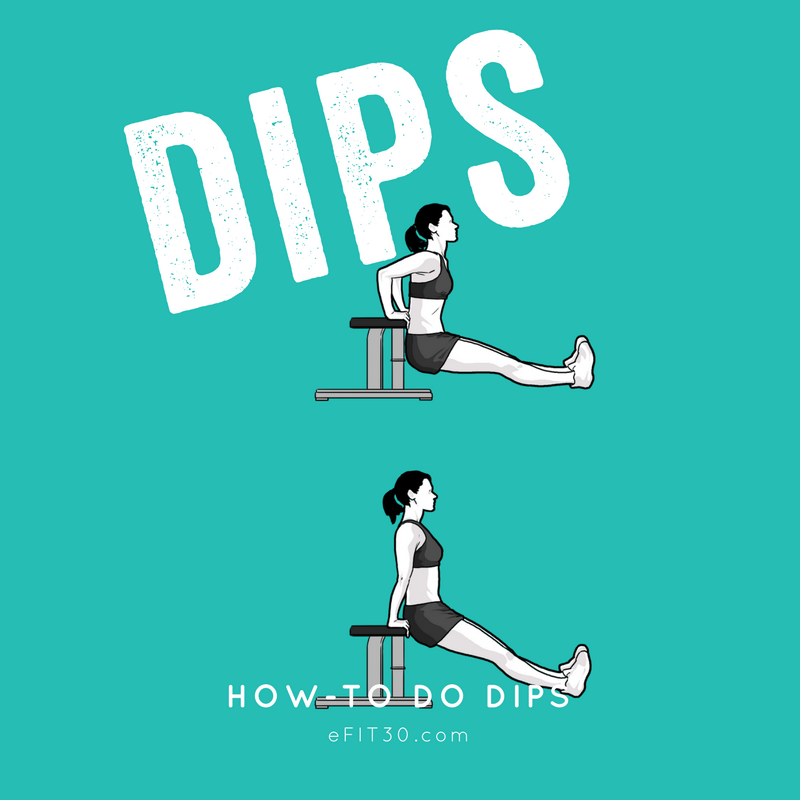 Chair dips are a convenient at-home or outdoor strength exercise that target your triceps (the muscles on the back of your upper arm).